While on the road, we get our Internet service through a Verizon Internet data plan. Essentially that means our Internet is through a cellular network. We’re on Verizon’s 4G LTE nationwide network and all in all it works very well. Almost everywhere we go, we get fast cell service for our phones and the Internet. Almost. There are places, especially in mountainous areas (or in Canada or Mexico), where cellular service can be nonexistent or spotty at best. Since we do our banking, insurance, correspondence, etc almost entirely over the Internet, losing cell service for any length of time is not a good thing. So . 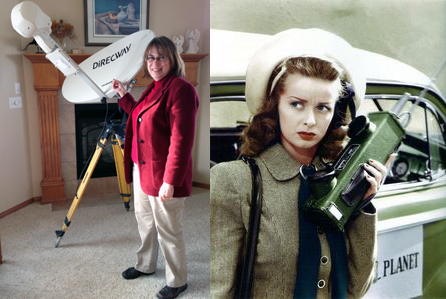 . . we’ve been investigating an Internet Plan B — Satellite Internet. Satellite Internet has been around for a long time. In fact, just recently have many RVers switched over from sat to cell Internet service. It’s a matter of price and availability. For example, we use Verizon (as opposed to AT&T, Sprint, etc) because full time RVers seem to agree that Verizon provides the best nationwide coverage and service quality. But it ain’t cheap. Last October we were able to pick up a 40GB per month Verizon 4G LTE data plan for $150/month. Sticker shock? That’s actually pretty inexpensive. However, as of August 13th, Verizon will start charging $375/month for 40GB! That is expensive! By the way, as a comparison, we’re staying at an RV park all this summer so we’re able to get a broadband Internet connection via the campground cable system. We get 250GB per month at very high speeds for $45. When you’re hooked up with a wire, it’s a lot cheaper. Obviously we can’t use a cable connection on the road, so we’re looking at satellite Internet solutions. Before we started full timing, I bought an old, very used HughesNet (also called DirecWay) portable Internet sat dish, tripod, and satellite modem. The HughesNet dish is huge (39” x 23” or .98M) — that’s Jan with our dish at the top of this article. This dish is unwieldy and difficult to set up and get going. Also, the satellite Internet service for this dish is slow and expensive — about 13GB per month for $80. However, HughesNet satellite Internet service is available in the US (including Alaska), Canada, and Mexico. Note that rooftop automatic HughesNet dishes are also available. However, HughesNet went out of business of few years ago so dish repair or getting parts could be problematic. 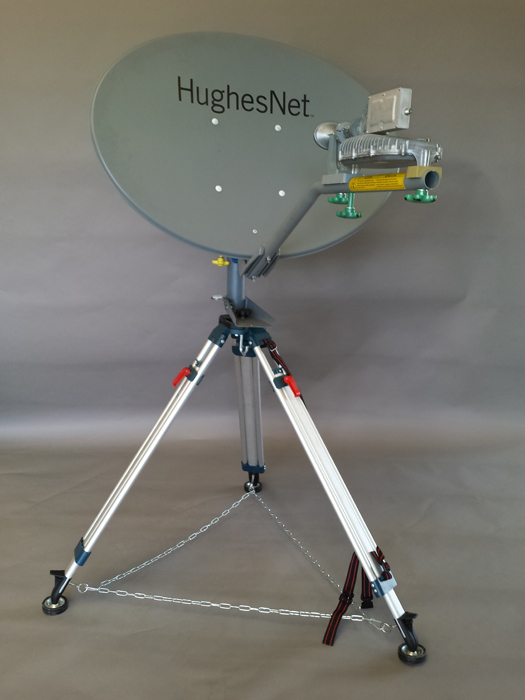 Nevertheless, Internet sat plans for HughesNet dishes can be purchased through retailers like Oregon RV Satellite Service, but requires an 18-month contract. Finally, HughesNet is still available for non-mobile (i.e., a house) service and is called GEN4. 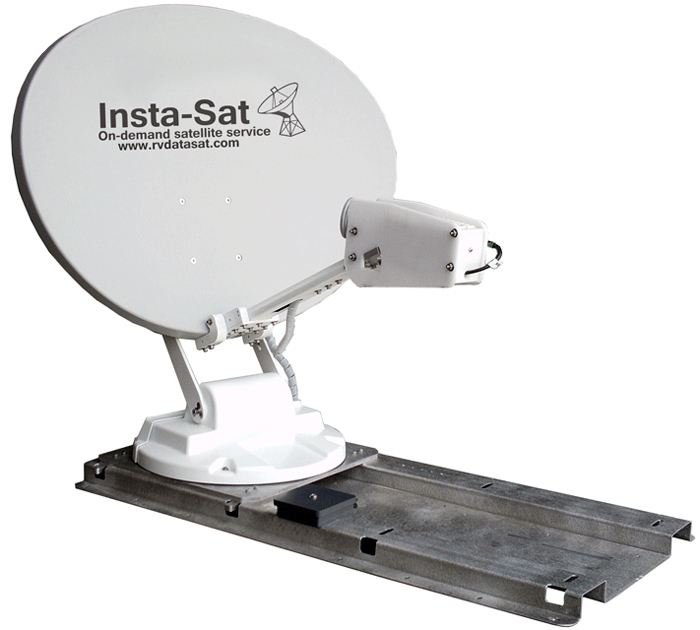 This July MobilSat (www.mobilsat.com) introduced the RVDataSat 840 (www.rvdatasat.com), a rooftop automatic .84M satellite dish for RVers. 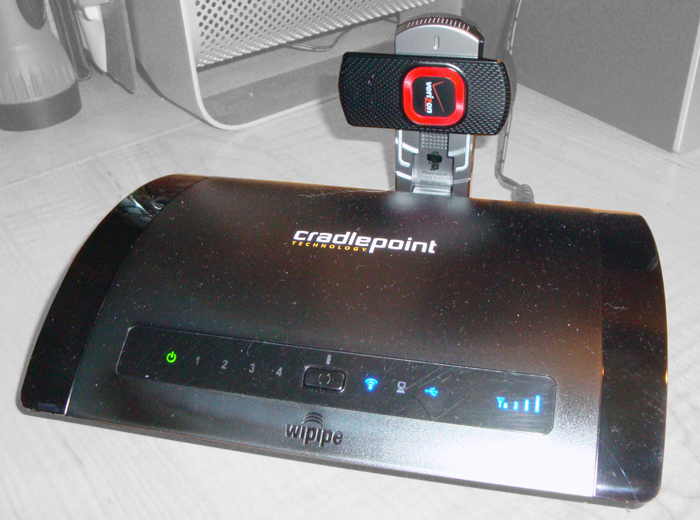 Push button operation — it’s self-provisioning which makes setup much easier than the old HughesNet dishes. No contracts — you can select a 5GB month-to-month ($125) up to a 100GB yearly plan ($1000, actually the better deal). Coverage — almost all of North America. Expensive — the rooftop dish costs about $6000. Speed — 4Mbps download and 512Kbps upload. Ok, but certainly not typical 4G speeds. RTC’s (www.rtc-vsat.com) new satellite Internet offering is possibly a game changer because you get 20GB per month at up to 5Mbps downloading and 1Mbps uploading for $120. That’s exactly the same as Verizon’s plan. In addition, RTC says it will offer higher capacity plans in the future. RTC is offering this service using a portable sat dish which, according to RTC, takes 45 minutes to set up as it uses Ka band spot beam service. Check this YouTube video. In addition, the SpaceWay satellite Internet service used by RTC is only available in the Continental US — not in Canada, Alaska, or Mexico. Finally, this RTC service requires an 18-month contract with them. Here is RTC’s announcement (PDF). BTW There will be another option for HughesNet Ka-band after October 1 … it isn’t yet available coast-to-coast, but the plans are consumer plans, rather than business plans, so they are a little lower cost. Plans start at $49.99 per month. http://www.MobileInternetSatellite.com.